Every year, about 1,500 young Texans age out of the foster care system. Before they reach 21, many of them face severe outcomes due to lack of family and adult connections. 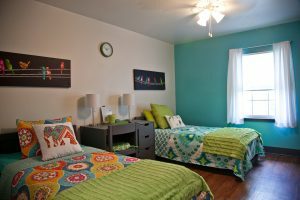 Ebby House is a Dallas-area, solution-based residential program for young women transitioning from foster care to independent living. Juliette Fowler Communities, a 120-year-old not-for-profit organization, opened The Ebby House, named in honor of Dallas real estate legend Ebby Halliday Acers, in the fall of 2014. A newly renovated building on Abrams Road in East Dallas is able to serve up to 16 women at a time, ages 18 to 24, for a period of 12 to 24 months. 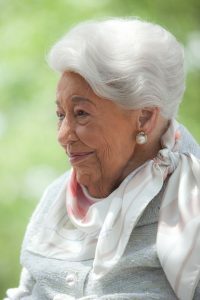 The Pickens Foundation supported the launch of the program both because it fits the Foundation’s mentoring focus and it honors longtime friend and local legend Ebby Halliday Acers. The Ebby House offers these challenged young women a home to live in and mentors to nurture them while they learn to become self-reliant, entrepreneurial-volunteers and mentors themselves. “Ebby and Juliette Fowler Communities believe that these traits are the hallmarks of an empowered individual for our future,” president and CEO of Juliette Fowler Communities Sabrina R. Porter says. “Knowing that The Ebby House will be a place for young girls to reach their potential is just wonderful,” Ebby Halliday Acers says. Juliette Fowler Communities is determined to reverse these trends with The Ebby House. 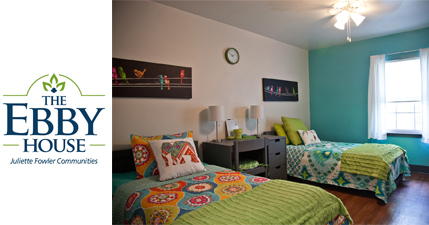 Residents are mentored in life skills (including hygiene, personal fitness, health, etc. ), communication and computer skills, career guidance, job training, opportunities for education beyond a high school diploma or GED, and volunteerism. Juliette Fowler Communities was founded more than 120 years ago to fulfill the vision of Juliette Peak Fowler of creating a faith-based community for elders and children. Through the years, Fowler has evolved to serve the needs of ever-changing generations. Today, JFC is the only intergenerational retirement community in Dallas, serving more than 400 older adults, children, youth and families each year.